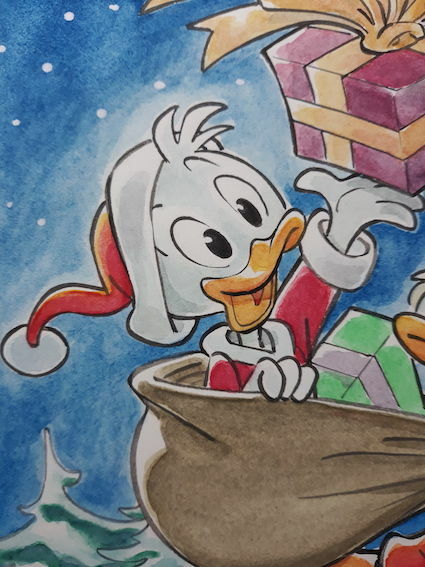 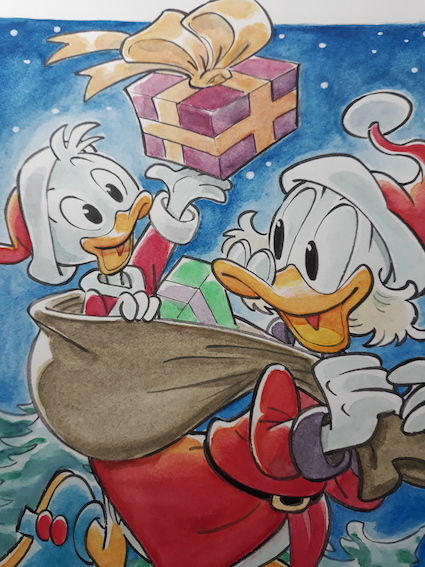 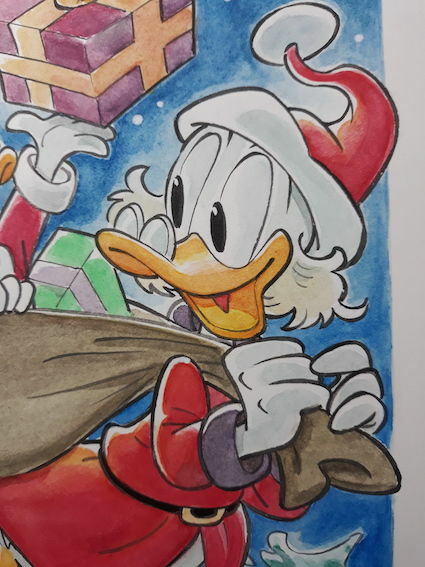 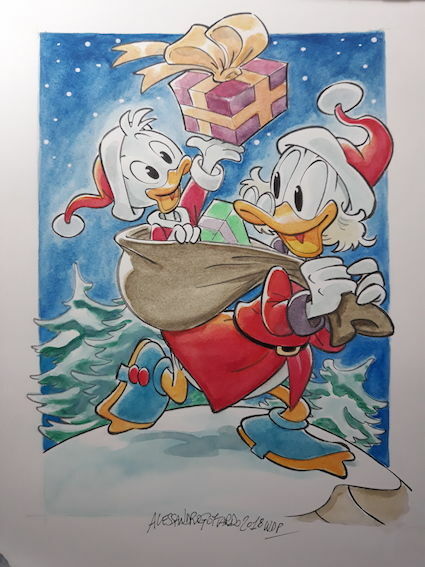 Disney watercolour, Christmas themed, in the best Disney tradition. 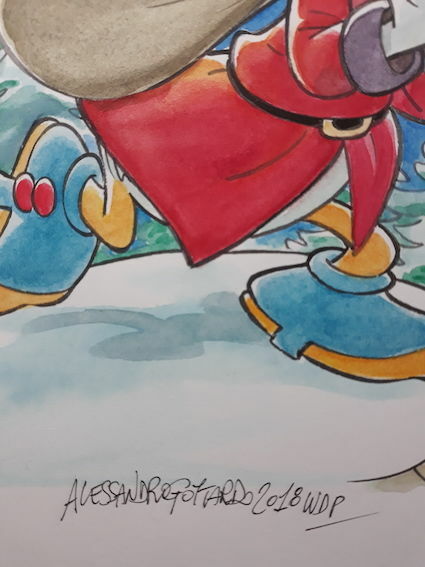 On a 300 g Fabriano watercolour cotton paper. Signed by the artist Alessandro Gottardo, Italian cartoonist and author of stories which have been published worldwide.